Back in the ’90s (stick with me, here), I spent quite a lot of time painting tiny figures of power armour-clad Space Marines, greenskinned Orcs and space-elves (called Eldar) so that I could use them in epic battles against my friends, played out over war-torn table-tops decked out in Tupperware dishes, books and cardboard castles. It was great fun but it seemed to take days to decide the outcome of one turn because you’d have to trawl through pages and pages of Codices and rule books to find out if your webslinging Eldar could definitely hit this Ultramarine when just a smidgeon of his arm was poking out from behind cover or if your jump-packs would explode before you could complete the pincer move on that Orc position. Needless to say, there were a lot of D6 involved in deciding the outcome. Modern video games developers and publishers don’t seem taken with the idea of cramming their games with all of the tactical choices available to 12 year old me and my little Blood Angel army but, fortunately, SkyBox Labs have decided to take a shot at a top-down, turn-based game that goes a long way to fulfilling the wishes of every dyed-in-the-wool tactician who ever forked out 70 quid for a starter set with the aptly named TASTEE: Lethal Tactics. 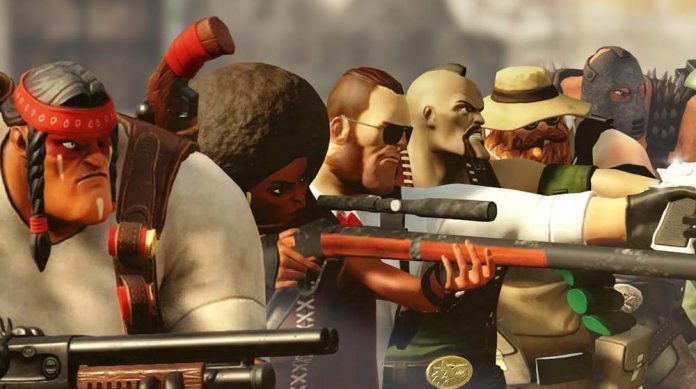 In TASTEE, you’ll be taking on the role of tactical commander for a bunch of specially selected mercenaries as they attempt to take on the Cartel in a story that, while incredibly safe and oft-trodden ground for an action game, manages to acquit itself very well by being a little irreverent, a bit tongue-in-cheek and, often, rather funny. Most of the emotional side of the story comes in the form of the emails that get sent by the mercenaries under your control – each of whom has their own personality, style and quirks, from the surprisingly well-educated Linus to the verging-on-maniacal Zeke – before and after each mission. The rest of the story is told in the missions themselves, both in the preamble that helps you identify which four mercs to bring along with you and exactly what you’ll be facing. The mercenaries aren’t just individual by email, there are a total of 16 to choose from, split into four classes with four mercs in each, and every mercenary has a special move that sets them apart from their classmates. Some missions will require that you bring along someone of a certain skill to give yourself that extra edge: grenades come in handy when you’ve got to take out an objective fast or you might choose a sniper who can disappear to keep them out of sight in longer-range engagements. 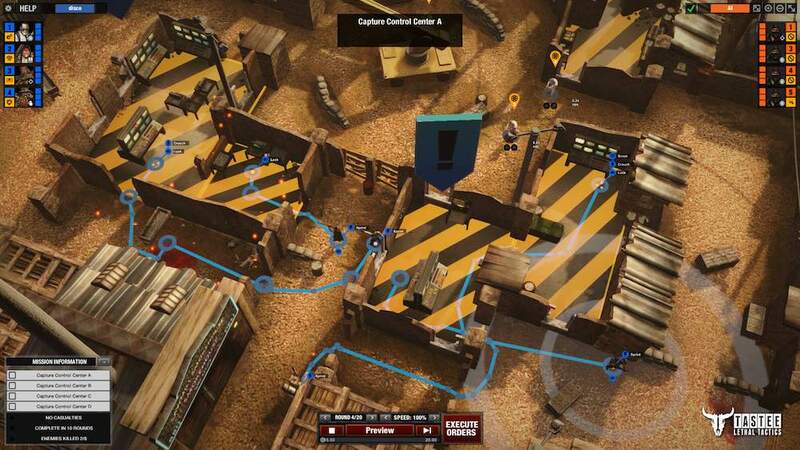 TASTEE features a 30-mission single-player mode and, while that might not sound like much, you’ll often spend at least an hour on one mission – even if you execute all of the objectives perfectly. Most of them time, however, you won’t. TASTEE: Lethal Tactics is hard. The tactical elements alone take some time to get used to and the AI is no slouch in the tactics department itself. The first mission sees you take on a handful of enemies as you grab a briefcase full of crime-funding cash and hoof it to the extraction point. While this shouldn’t be too much of a chore (particularly for anyone who’s played an XCOM game), the fact that you can’t see where the enemies are unless you have line-of-sight on them makes it incredibly tough to decide on a particular course of action and it’s equally as hard to try to cover all of the bases with just four of your own guys (or gals). Your battles take place in a selection of environments, from rooftop building sites to ancient temples and from country farms to high-security prisons, with several missions being set in each. It’s billed as a top-down game but the camera in TASTEE is entirely under your control – zoom in and out to your heart’s content and get right down to the action to see exactly what’s going on at ground level. 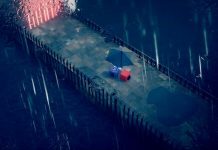 TASTEE: Lethal Tactics also boasts some pretty strong graphics – everything looks fairly awesome and there’s no real loss of fidelity as you get closer to the in-game assets. The explosions and blood splatters look pretty good, too, though you’ll definitely not want to find your people anywhere near them. While it looks great, TASTEE‘s real draw comes in the form of its exemplary gameplay. This being a turn-based tactical shooter, you’re going to be issuing orders to each of your four mercenaries to take out enemies and complete objectives. They can move, sprint, crouch, turn to look in a particular location, blind fire and more, and you can set up a string of waypoints at which they can begin or end a new action and you can cancel them at any time before committing. Orders are issued through simplistic, radial menus that appear around the selected character and you aren’t tied in to a grid for movement, meaning that you can send your people pretty much anywhere. Once you’ve set out the actions for your turn, you can commit to them and watch as they all play out. But, just in case you needed some help understanding what course your tactics might take, SkyBox have included a rather helpful Preview option. Issue your orders to each of the four characters and click “Preview” to see exactly what will happen to them on your turn and, if you don’t like the outcome, you can go in and tweak your plans until you’re satisfied and commit to your course of action. Of course, with each preview you’re only seeing half of the story. Unlike in other turn-based tactical games, enemies will only show up as stationary ghosts, marking their last known position, until your mercenaries have their eyes on them and your preview will only cause the actions taken by visible enemies to have any impact on your people. In this way, TASTEE ensures that the full range of tactics are accessible but also keeps you on your toes, forever trying to second-guess your opponent. And your opponent isn’t going to be the sometimes rather predictable AI for long. Those 30 story missions are essentially your training for the real meat of TASTEE: Lethal Tactics: the online mode. While the gameplay is exactly the same as you’re used to in the single-player missions, simply knowing that you’re up against another thinking, feeling human being makes it that much more challenging. As I said, you sometimes know what the AI is thinking but, up against pesky humans, almost nothing is out of the question. While you may feel it’s better to go balls-to-the-wall action against the computer, your strategies and tactics will need to be adaptable to cover the range and versatility of living opponents and, as both of you will only have four mercenaries at your disposal, the approach may well change from intense action to agonising baiting and trap-setting once one or two mercs have been removed from the equation. 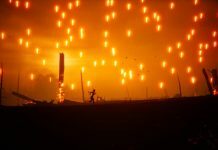 As TASTEE is all about the tactics, it would be incredibly cheap of developers SkyBox to include timed turns in their multiplayer and, fortunately, they haven’t. Instead, you can take as long as you need to in planning your move but, while you do, your opponent can return to the menu and start another match against someone else, replay a story mission for practice or quit the game entirely and do something else instead. Once your move is done and you’ve committed to your plan, your opponent receives an email notification, telling them that it’s their turn. While it can feel a bit less like TASTEE: Lethal Tactics and a bit more like TASTEE: Words With Friends – or, more appropriately, TASTEE: Chess By Mail – this system means that you aren’t constantly under pressure by a swiftly diminishing clock and you aren’t tied in to a single match, irritably twiddling your thumbs as your opponent tries to figure out what’s on your mind. It’s fair to say that TASTEE is probably one of the most tactically fulfilling games on the market at the moment, but it’s also incredibly good fun and is not as complicated as it might at first seem. It’s a challenge to really get into the deeper tactics and it’s another game at which you will, probably, fail at time and time again before everything begins to click. But its a rewarding test of your abilities and, with the play-by-email multiplayer, you’ll never be waiting too long to put those abilities to good use time and again. And you don’t have to ruin your mum’s table display in order to do it. 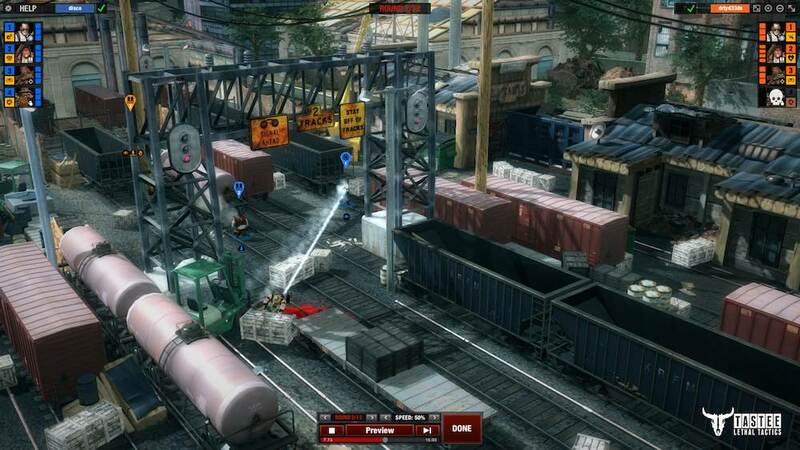 TASTEE: Lethal Tactics is available on PC.